Blue nose, Red nose, Gator Mouth, Lock Jaw Old School Pit bull Terriers. When i hear someone identify their dog as one of these types of american Pit Bull Terriers i can’t help but want to educate them. It’s defiantly not their fault that they don’t know the type of dog they have. Its that most breeders do not explain to new owners the differences in the blood lines and teach the new owners the differences in the breed. I hope this doesn’t offend the Pit Bull Breeders Out There. Blue Nose, Red Nose, Lilac, Champagne, Gator Mouth, All these different terms are made up and mean nothing at all. They are not a way to identify a breed of dog. These terms are used (by us as well) to let people know about a specific look or color the dog has. They are all the same breed, so when someone says what kind of pit bull do you have, you should never identify them as a Red Nose or Blue Nose Pit bull Terrier. For years breeders have worked extremely hard to perfect the American Pit Bull Terrier. The problem is everyone wants to add a little twist to their creations. 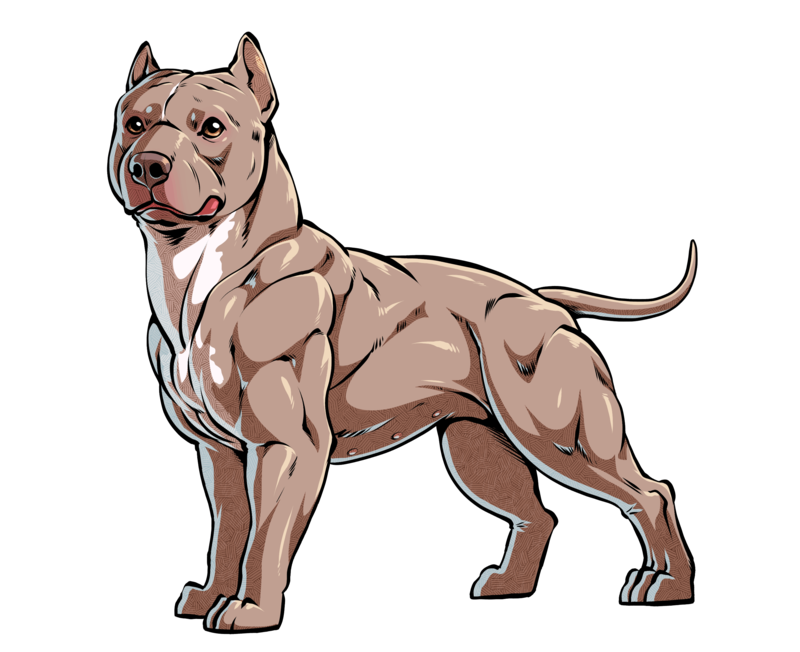 Today if you type American Pitbull Terrier in Google you will find LOADS of different styles of dogs (All claiming to be The American Pit Bull Terrier). 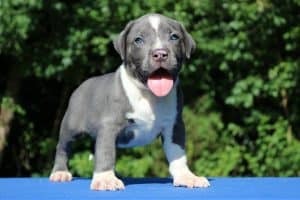 Im not going to start pointing fingers at anyone directly, BUT if you look at the Original American Pitbull Terrier you should be able to determine which breeders went extremely off course. 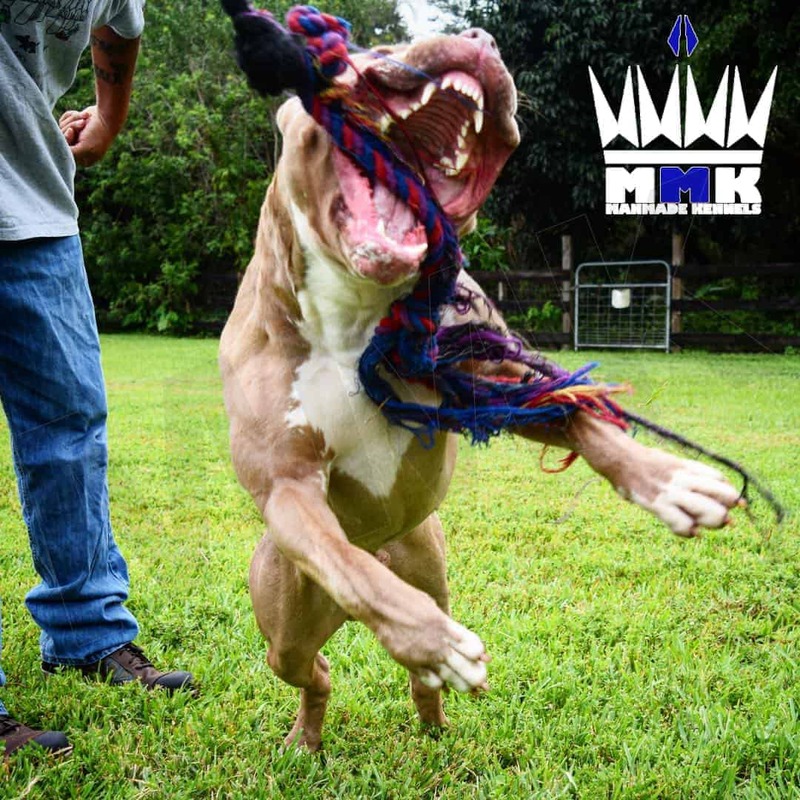 Im just going to go out on a limb here and bet you’ve heard one of these sayings (they represent the description of their style of pit bull) Exotic Pit Bull, Shorty Bull, Pocket Pit, Extreme Pit bull or Bully, Xl Pit Bull, XXL Pit Bull and many many more. They are all American Pit Bull Terriers according to their owners and breeders. The questions is why; why have breeders created so many different styles of The American Pit Bull Terrier? The answer is highly debated but here is my take on it. 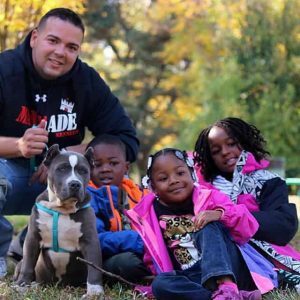 Originally breeders realized that the American Pit Bull Terrier was a little too aggressive and poorly breed for today’s society causing them to have to change the overall goal of their breeding programs. Because the larger American Pit Bull Terriers seem to have less aggression, breeders started to breed the Xl American Pit Bull Terrier as well as other forms of stockier bully looking pit bulls. These dogs became very popular very fast. To get a step up on competition breeders starting looking for ways to set themselves apart. 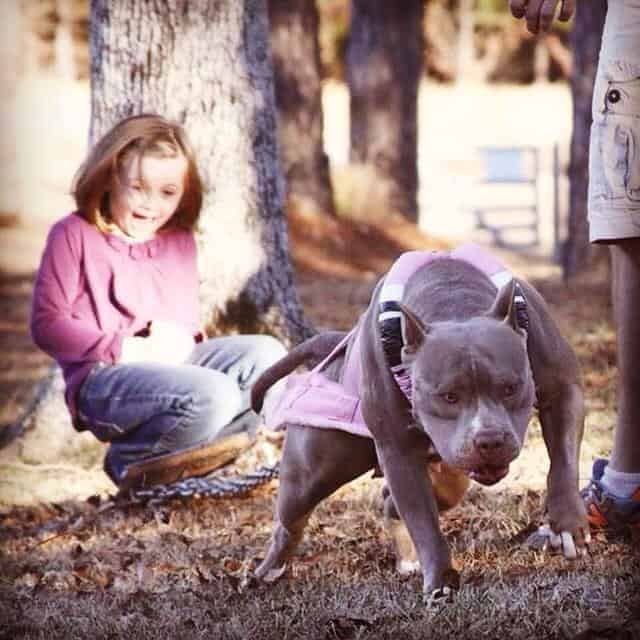 This is where the Blue Nose Pit Bull really started to shine. No one had ever seen a blue pitbull, and everyone wanted one. With time everything has to evolve, its just the american way. So then came the F1 breedings (F1 Breedings are when you take two different breeds and breed them together to create one). 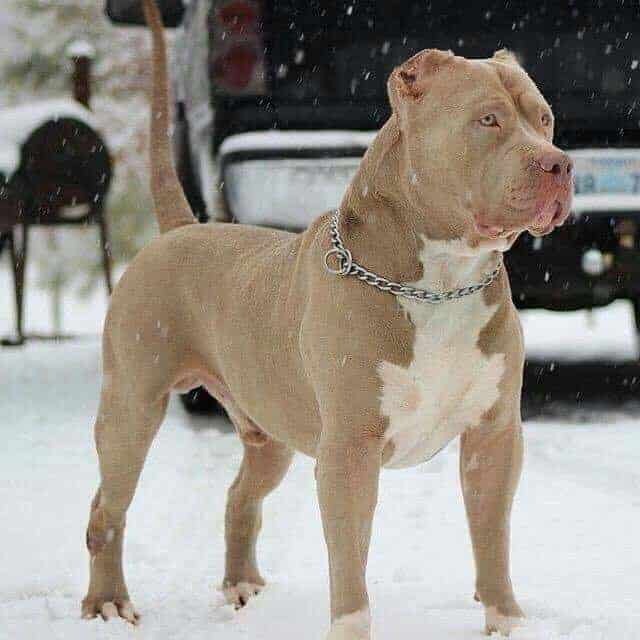 These F1 breedings created what is known as the EXOTIC BULLIES, SHORTYBULLS, and REALLY all the so called American Pit Bull Terriers that look nothing like a Pitbull. 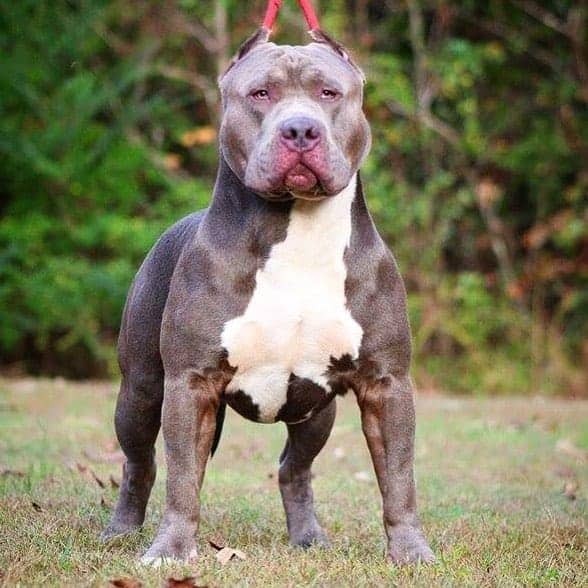 The only reason they were so successful is because there was and still is such high demand for these different unique styles of so called Pit Bulls (also called bullies). Imagine owning a tiny pocket sized blue nose pit bull terrier, that wasn’t aggressive, didn’t try to eat your neighbors kids, and was extremely low maintenance. To a lot of people, that was the perfect dog, and a few breeders where willing to put their ethics to the side and make that money. Today there are very few Original American Pit Bull Terriers, The good news is there are places like BULLYPEDIA that do DNA testing so you can rest assure your dogs parents are who they say they are. There are also communities like The East Coast Bully League full of breeders and dogs owners that educate each other and share information on up and coming Dog Shows. Also you have ME, im always available to answer any and all questions. So ill end this by saying, I LOVE EXOTIC POCKET STANDARD XL XXL AMERICAN BULLY OR PIT BULL TERRIERS. i love all the Blue Nose and Red Nose Pit Bull Puppies on Earth. This blog was not to bash or offend anyone, this was to educate. There is so much more to this topic but that would lead to talking about how people did this to sell pit bull puppies and make money off the names used like blue nose pit bull puppies for sale, which honestly is a whole different topic. I want to say, THANK YOU FOR READING THIS AND IF YOU HAVE ANY QUESTIONS DON’T HESITATE TO CONTACT US BELOW or MYSELF DIRECTLY… Again God Bless and don’t forget to share!! !